Competitive Edge Products is pleased to offer the famous Let it Rot! : The Gardener's Guide to Composting (Third Edition) (Storey's Down-To-Earth Guides). With so many on offer these days, it is wise to have a brand you can trust. The Let it Rot! 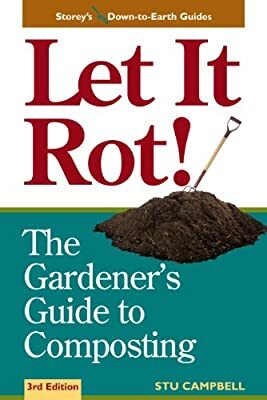 : The Gardener's Guide to Composting (Third Edition) (Storey's Down-To-Earth Guides) is certainly that and will be a superb purchase. For this reduced price, the Let it Rot! : The Gardener's Guide to Composting (Third Edition) (Storey's Down-To-Earth Guides) comes widely recommended and is a popular choice with most people. The Manufacturer has provided some great touches and this means good value. Transform leaves, grass, and kitchen scraps into gardener’s gold! This easy-to-use guide shows you how to turn household garbage and backyard refuse into nutrient-filled compost that can nourish your soil and promote a thriving garden. You’ll soon be saving money, minimizing waste, and enjoying bountiful harvests.